idk if he was mentored before, but Pedrinho from Pacos de Ferreira can be brought for 5mln at game start. 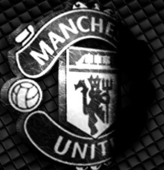 He got great personality, consistency and hes just very good CM for mid/top table sides. i haven't play fm18 yet but bogdan vatajelu ( sparta prague ) is decent player as LB and i'm always give a go for radim reznik ( viktoria plzen ) as RB. 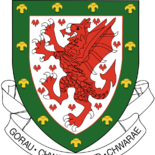 just check them out, maybe worth a try for your team. Odd though - check his CA, RCA and PA. Again, I haven't actually edited Mista, just moved him to my club. 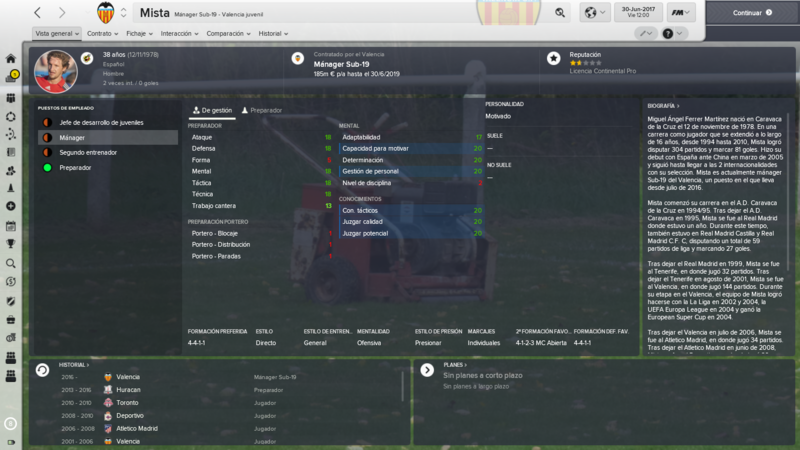 Pulled off 3 pretty good deals in my first window at OGC Nice. Jeremy Toulalan to add some more experience to a young side. Signed on a free. Josue, needed a passer and he fits the bill. Signed on a free. Saber Khalifa. Signed for £170K, back up for Balotelli/Plea and adds quality depth up top. If you're starting a new save, be sure to check these out! Currently managing Fiorentina, haven't managed to make it into Europe and great luck with injuries so no game time for my prospects. I was just wondering if anyone had screenshots of Dusan Vlahovic, Gabriele Gori or Martin Graiciar a few years on? Preferably if you've ended up with one of them yourself, but also would just be happy to see if they're in a top division by say 2020. Serbian Forward from FK Partizan, 18 years old. Very good player. 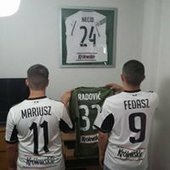 Actually i am playing in Legia Warszawa, i bought him for 450k euro and i think in the future you can sell him for more than 50 million euro. He likes playing with everyone, in the offensive formation. He is tall and very strong. 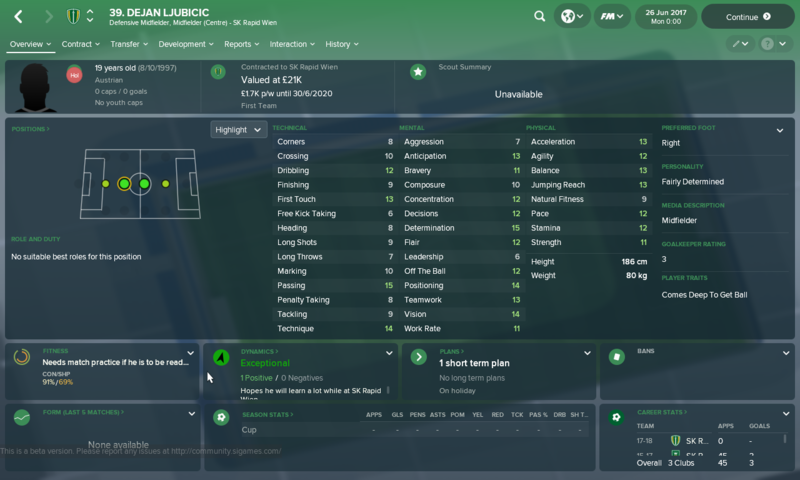 Luka Adzic looks bright, and only 700.000-1 mil euro from start. 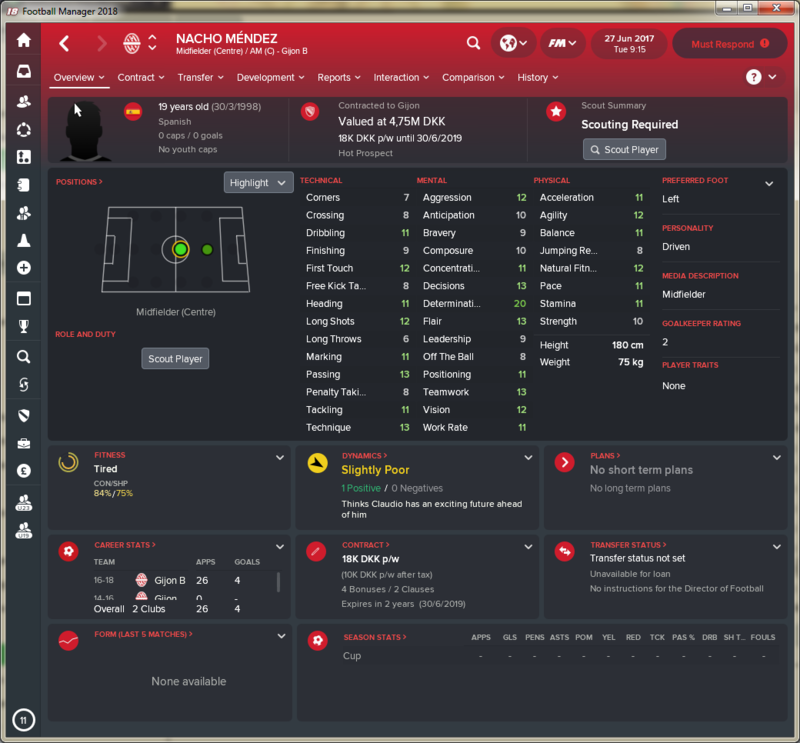 Nacho Mèndez from gijon b, has some crazy numbers, but he has a high buyout. 7.5 mil euro.. 2 year to contract runs out, maybe you can get him that way. after 2½ year, im at lazio. Not heard anything about him yet. I am a big fan of Mamadou Coulibaly, who is onloan at Pescara early doors from Udinese. Great at doing the dirty work in midfield, either as BWM, Carillero or Mezzala. 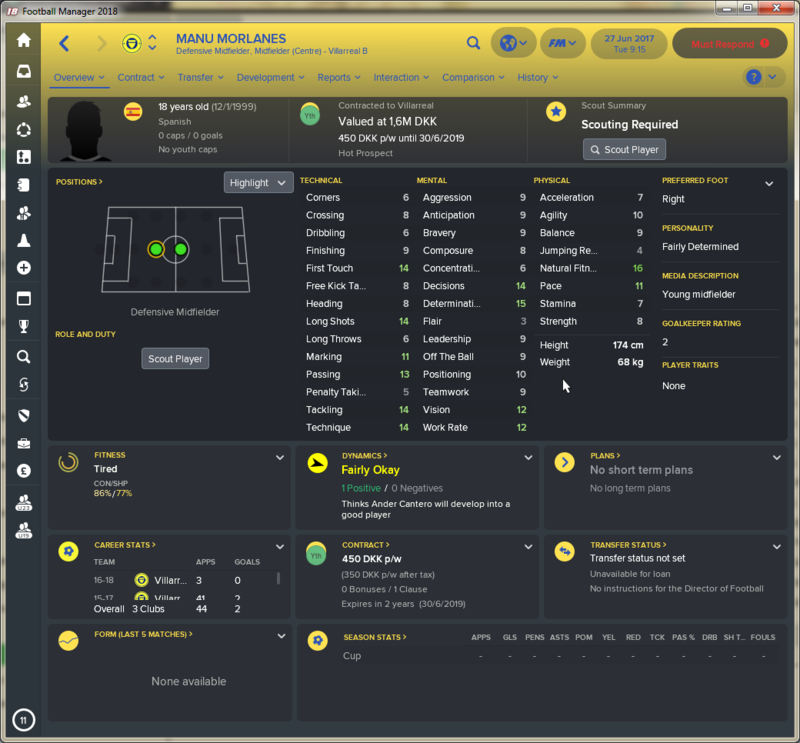 Magic energy and consistency, cost a pretty penny but I found him relatively late on after a good loan spell at Wolves. He's played 60 games for me in each of the last two seasons, so natural fitness and injury proneness are positive too. I will upload a SS when I get in tonight. Wuilker Farinez from Millonarios in Colombia. 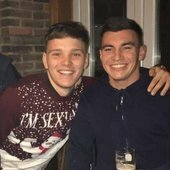 19 year old Venezuelan goalkeeper with unbelievable potential, grows to be a top Premiership 'keeper, only real downside is he isn't that tall and has low-ish stats for jumping and aerial reach. Also, check out FC Liefering and its parent club, RB Salzburg. Both clubs rammed full of youth talents as they are essentially feeder clubs for RB Leipzig in the Bundesliga. FC Liefering have some very good youngsters in the game. Patson Daka is the most recent one to make the move to Salzburg. Looks like a decent striker both in real life and FM. I mentioned Daka a long ways back in this thread, and I think he's a bit better on the data update. 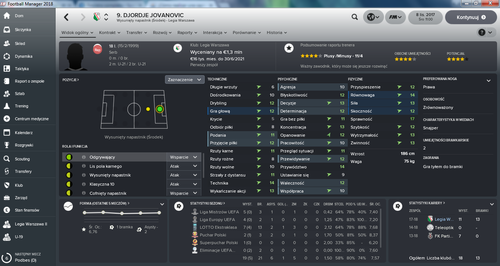 Lokomotiv Moscow sometimes buy, which is ironically the club I was managing when I first spotted him. 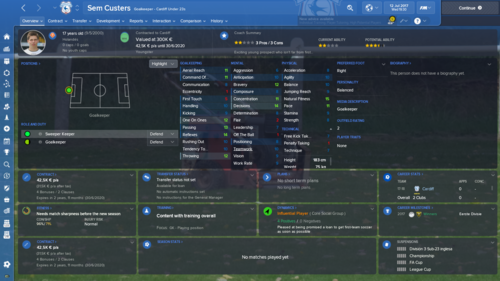 Duarte Valente from Estoril B is a great young prospect at DM for anyone on a budget. 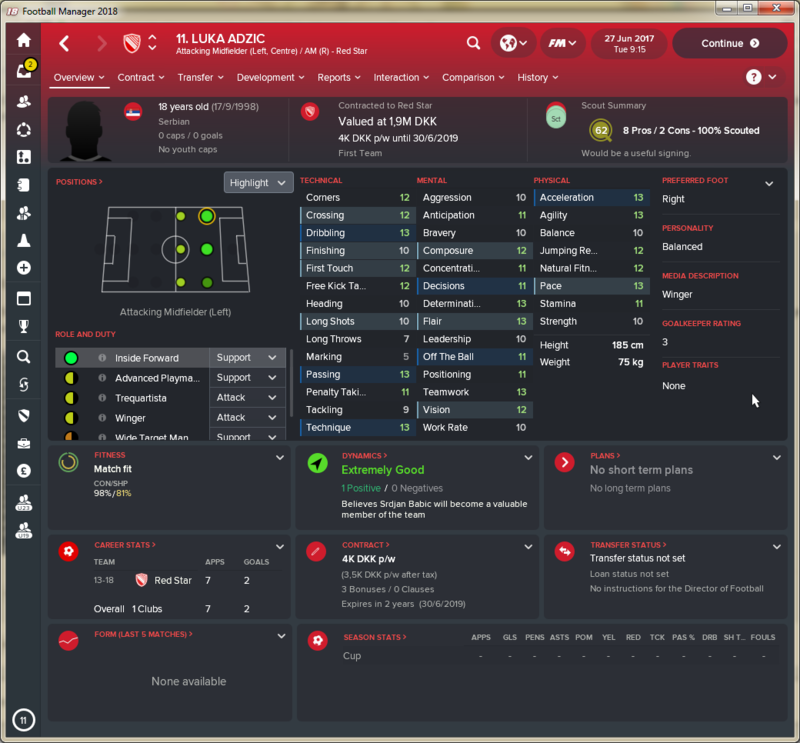 Snapped him up for 135k in my first season at Parma (Jan transfer window). 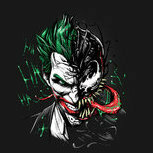 He has excellent mentals with decent technique. Would fit into a Very Fluid system as a “complete” player. I use him as a DLP(S) in the DM strata but is probably more suited to traditional DM roles. 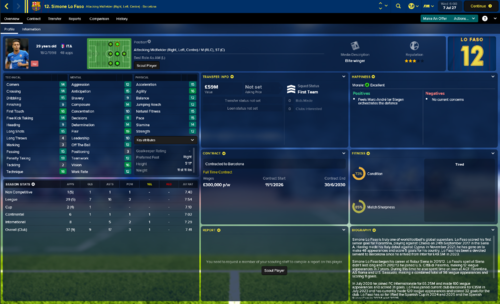 His professionalism and high determination means he has rapidly improved in the 9 months he’s been in my squad and ready for regular first team football even at the age of 18/19. Red Bull Salzburg's Austrian farm club, of course. Currently managing them in Erste Liga and Mahmadou Dembélé, Luca Meisl, Nico Gorzel, and Romano Schmid are quite comfortably of Austrian Bundesliga quality already, along with Enock Mwepu and Patson Daka, who are both full Zambian internationals. 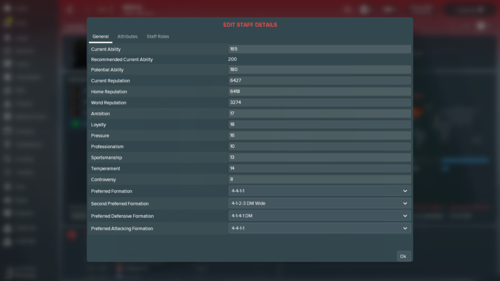 There's a handful of prospects—Gölles, Karic, Mensah, Stumberger, Sturm, Meister, Rodrigo—that need a fair amount of work, but each have very interesting skillsets which make them quite exciting. Well worth your time. Well aware the players posted below have most likely been found and posted before, probably here, so apologies..
i'm mostly cataloguing them for myself tbh! ..
just a few talented youngsters I came across.. will likely update as I find them. Gonzalo Maroni. 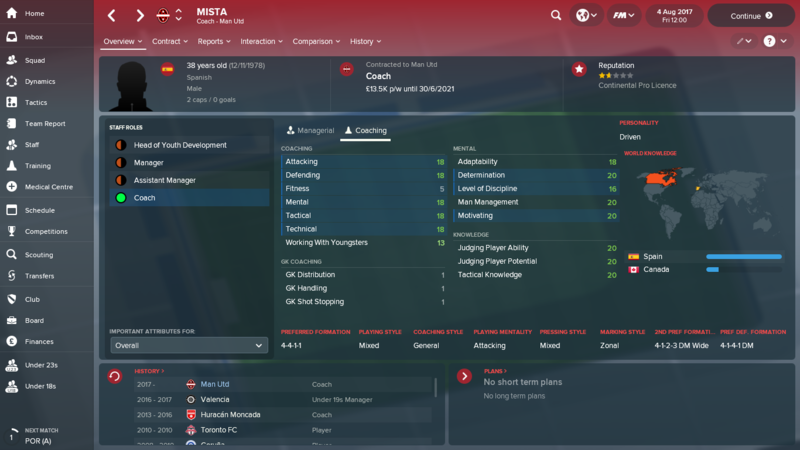 I signed him from Boca for a bargain 5.25 million in my third season. I'm retraining him as an inside forward down the left and I will give him the PPI to cut in from the left onto his right foot to utilise his 15 long shots. I will also train him to play killer balls often to take advantage of his 15 passing and 16 vision. Obviously, he's still only 20 on my save and most of these stats should improve further. I'm very excited to see how he turns out! 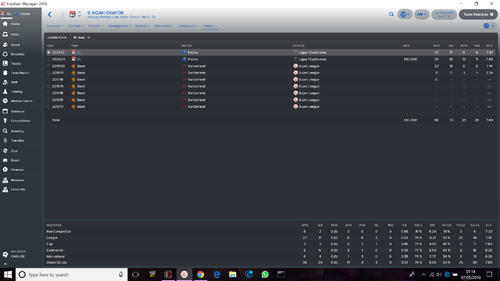 Meisl, Schmid, Daka, Gölles, Stumberger and Meister, I always managed to get the best out of them. Not world beater, but solid starters for any EL team. Unfortunately Mensah never seems to develope, no matter how much playing time or tutoring I give him. Also Koita is better than Daka, currently scoring 30 goals a season for Salzburg each year. Can anyone tell me if this guy has random stats or? 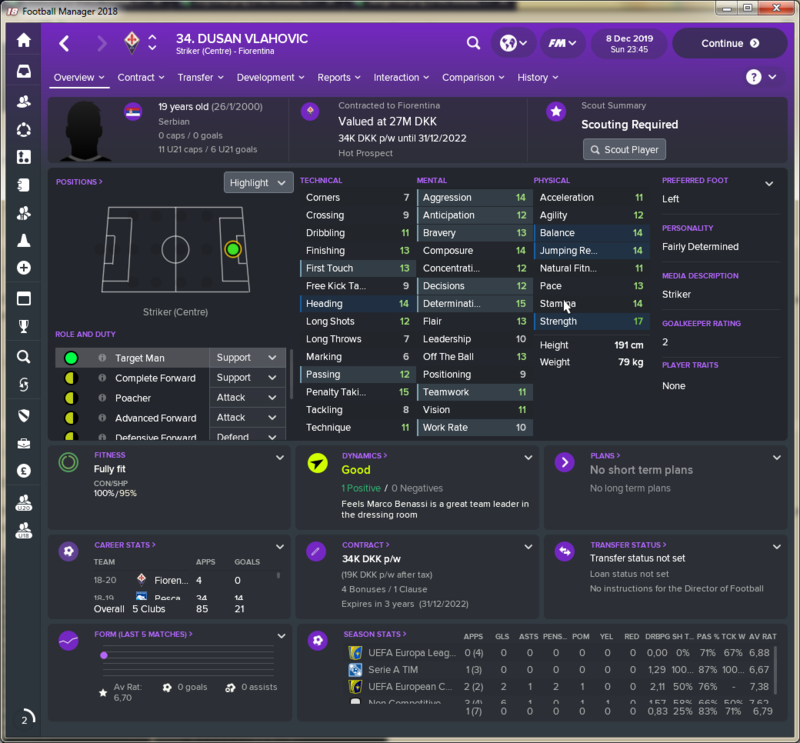 He gets hidden with all the fuss from Serie A FM managers about Felice D'Amico, but Simone Lo Faso, on loan from Palermo to Fiorentina, is almost the same player. I have them both now, stats are very similar, D'Amico has higher PA but Lo Faso has played outstandingly as a Winger in my team that lost the title to an 89th minute equaliser in my 2nd season. Like D'Amico he's natural across the AM positions with high flair and the "knocks ball past opponent" trait. But Fiorentina never have much in the way of resources so he'll potentially be reasonably cheap for a good top division winger. Quick update to the shortlist i created with most of these players on. The ones ive found worthwhile any way. I really liked Patson Daka because of his variance in styles; good athlete, technically pretty good and decent mentally. You could mould him into something quite complete across all aspects of his game. Same could be applied for Enock Mwepu. My favourites from my year there would be the latter, Luca Meisl, Mahmadou Dembélé and Dominik Stumberger. 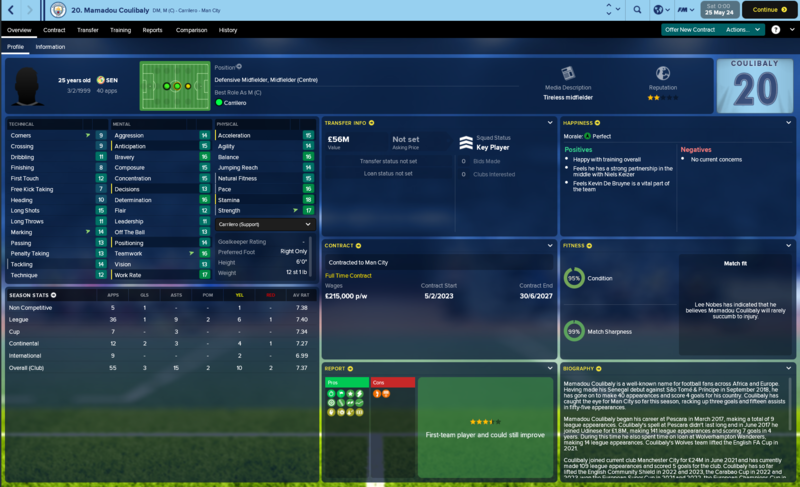 I'm now at Werder Bremen, having spent a year at FC FCSB, and trying to sign any of them from Liefering is quite difficult. Romano Schmid and Mahmadou Dembélé are the only two to have made the step up to Salzburg. For anyone reading this, if you're a low-to-mid table club in any top five league, then FC Liefering (and Red Bull Salzburg) is a good place to do your shopping. I'm in 2027, here's a screenshot of each for comparison. Argentinian Target man. 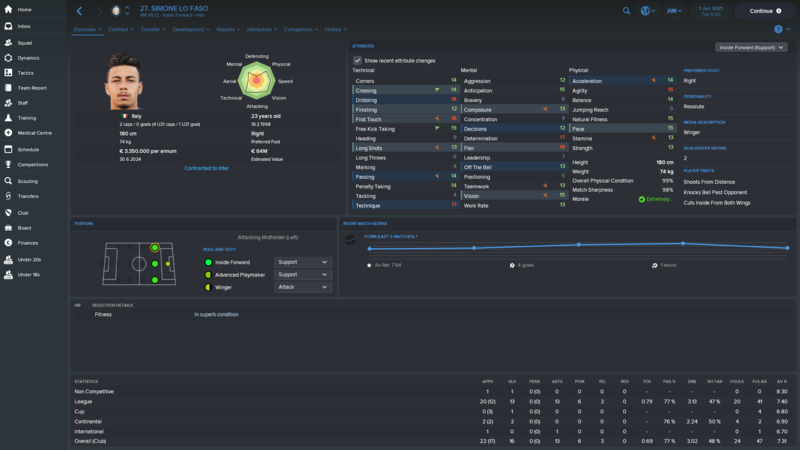 Signed for £6.5 million for leeds in the prem. He currently sits top goal scorer, top assister and top average rated. 12 games left in the 3rd season. 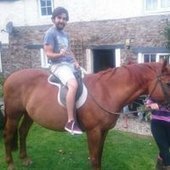 Victor Gyokeres for Brighton, I am 3 seasons in and he's now ousted all of my strikers both new and old and is currently the second top scorer in the division behind Lukaku. I wondered if it was a one off but all my Brighton supporting friends have found the same thing, he is a monster. I have just turned down a 30 million pound offer from Red Bull in Germany for him because he signed a new contract. Thank goodness. 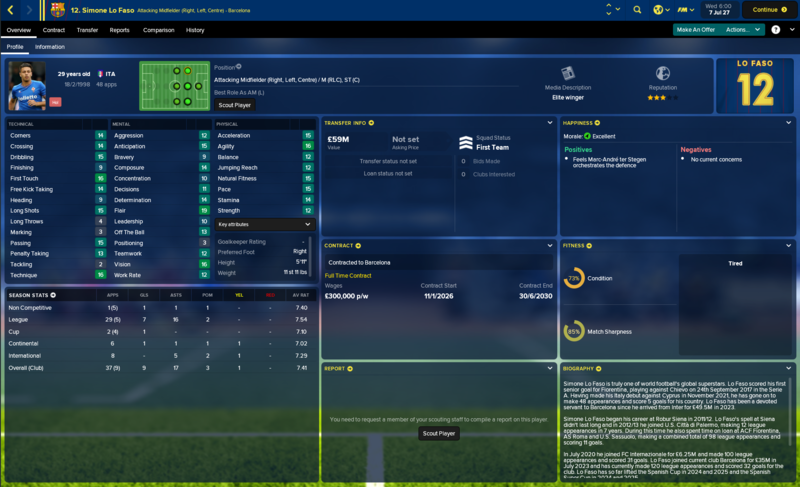 Another is a Brazilian LB called Leo, he starts out at FLU but is on loan at Gent in my first season, I bought him for 14.5 million in 2018/19 and he's started ever since. 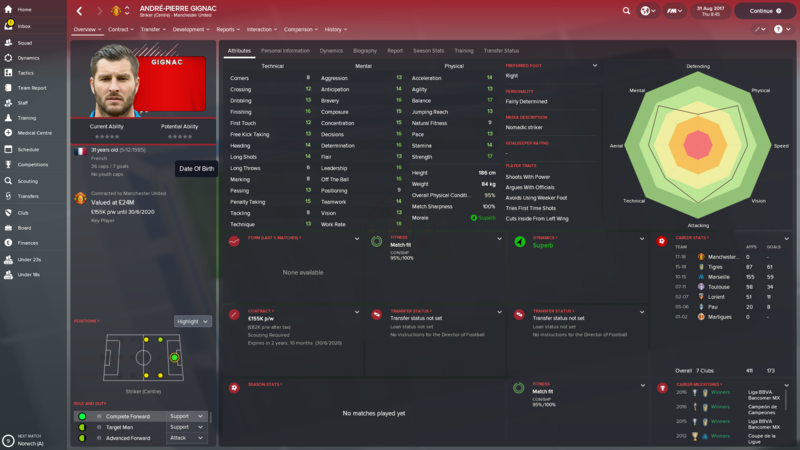 Monaco and Liverpool both want him, he's only young as well. When I get home I'll upload pics. 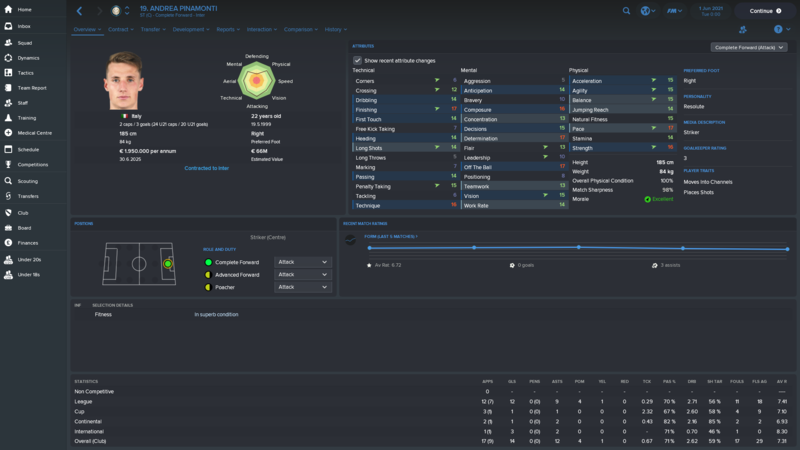 My DoF brought him in on loan in my third season, and he helped Fulham to a Champions league qualification campaign with 18 assists and 6 goal playing as a Wide Midfielder on Attack. 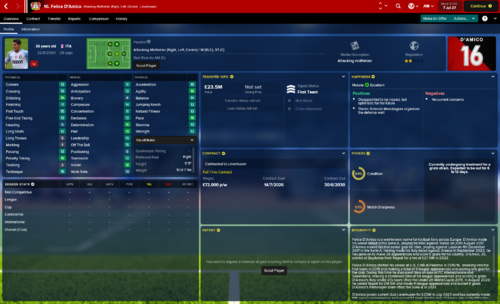 Snapped him up for 17.75M after finding out that was his release clause. 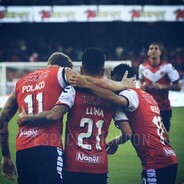 I play with a midfield two - a DLP and a CM. 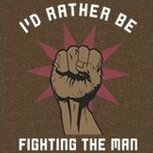 I'm stacked with options for the DLP - but I can't seem to find anyone that fits the CM role perfectly. Any recommendations? 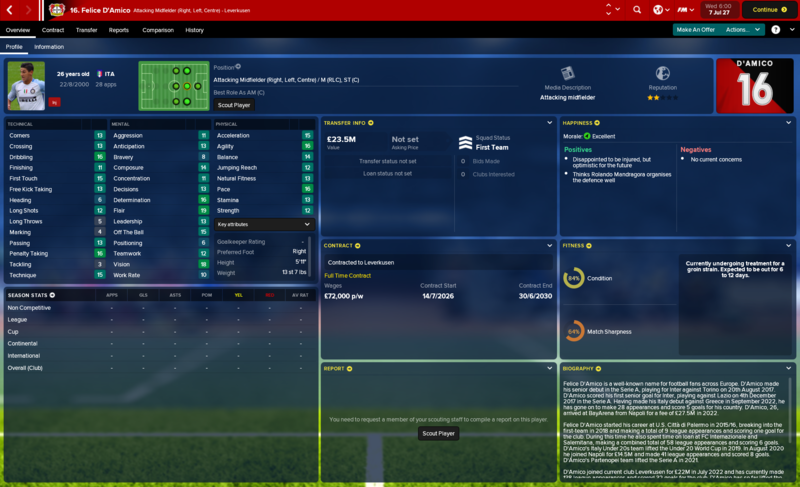 I'm playing as Benfica, end of second season with approx £25M to spend. Ignore it - just look at the attributes for CM with the duty you're using and find a guy who's good at them. 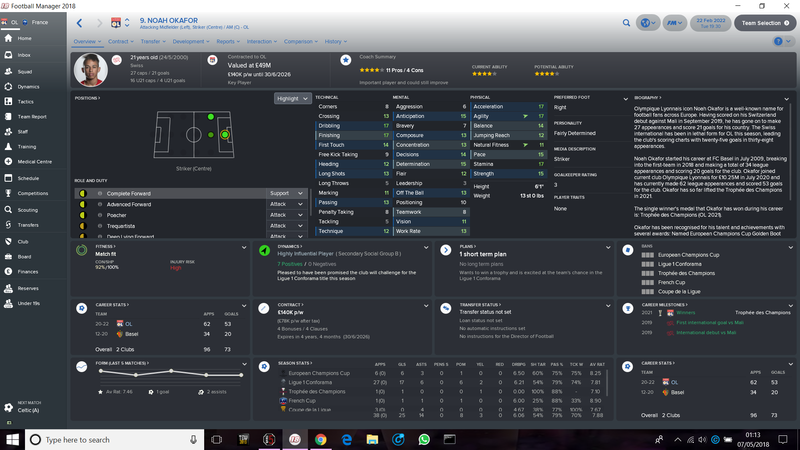 Never even scouted him in FM before, but in my Sttutgart save, this guys is probably my best player. Hi! How can I open the .fmf file with the list of hidden gems? Is it with the Resource Archiver? 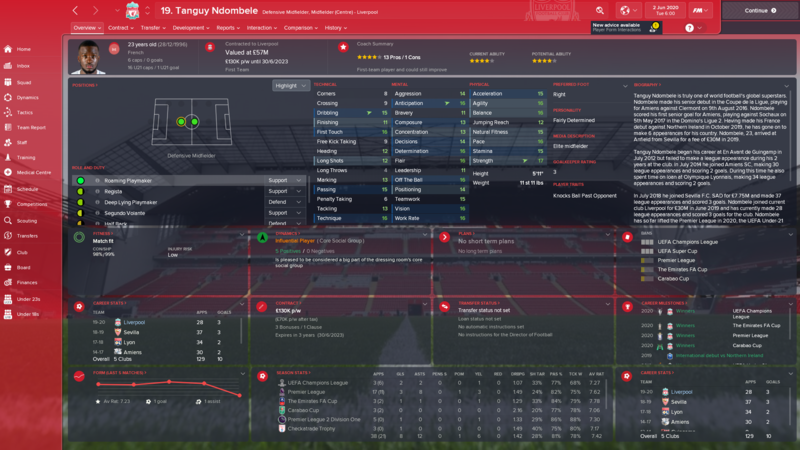 Has anyone had any success with Tanguy Ndombele, Noah Okafor and William Pottker, awesome players for me. Can I see how Okafor looks like, cuz i dont have him loaded in my game. Here he is a few seasons in, he recently got World Player Of The Year, he plays well as an advanced forward on the right side, similar to Salah for Liverpool. 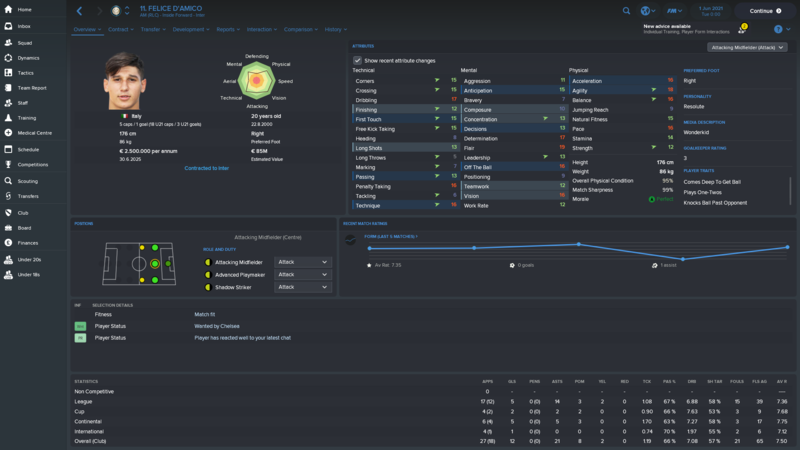 Does anyone have experience/a screenshot of how any of the following aforementioned players in this thread turn out? 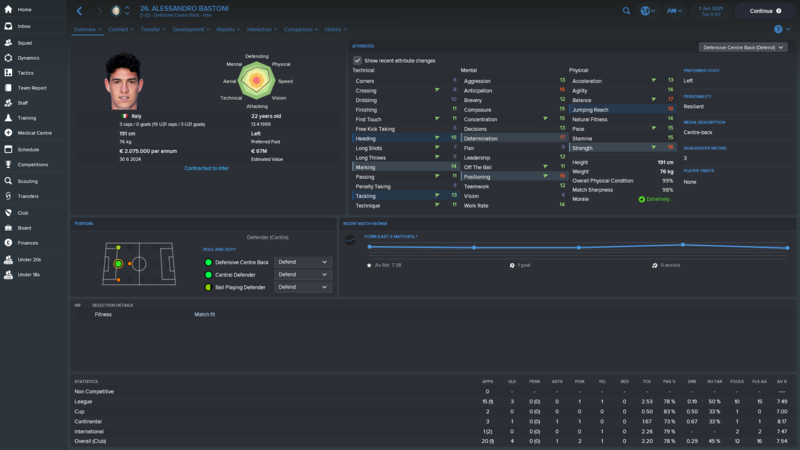 Sorry if this player has been posted, he’s a deep lying playmaker from Nordsjelland and his name is Mathias Jensen, he’s 22 and he’s pretty good for a lower Premier League side, he’s got a couple of nice PPMs aswell, he’s very cheap, I bought him at the end of the first season, for Leeds, for 2.6m + some additional clauses. I’ll post a screenshot tomorrow when I get on my laptop. 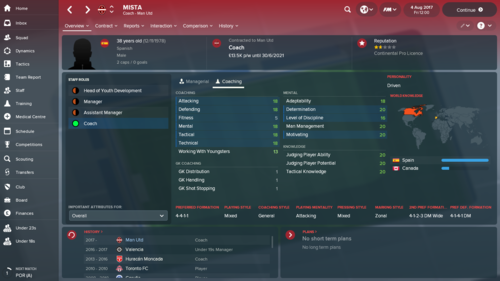 He is my favorite FM 2018 player, he is a beast. I am glad he is doing well for you. 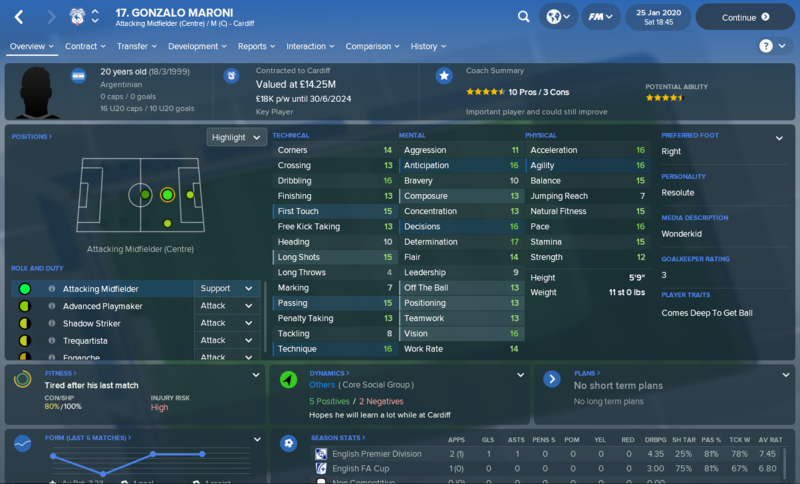 Not really hidden, but I'm amazed at the development of Inter youth players on my current save. All of them are already at the club when the game starts, except for Lo Faso. 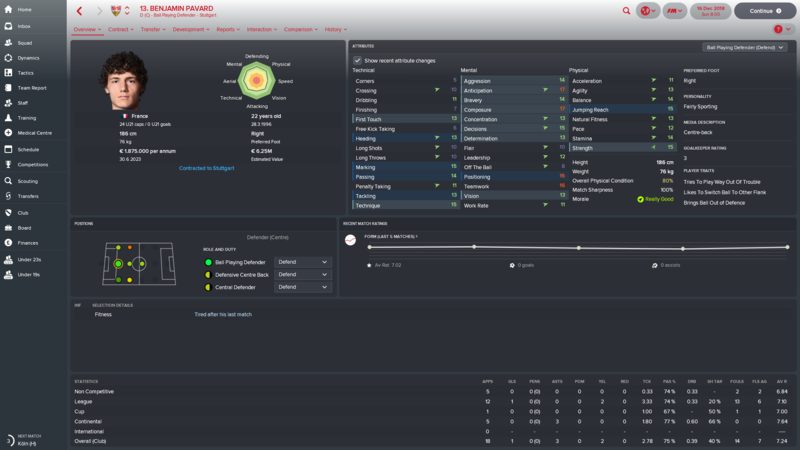 You can get him for 10-15mil€ from Palermo. Suggestions for a backbone I can blood through? I LOVE either Dominik Kohr (from Leverkusen) or Mamadou Coulibaly (Udinese) for the BWM role. Kohr is usually listed at some point and can be bought for £5-7 million. Coulibaly is different and may take £15-£20 million to buy but is only 20 so sorts you out for life. I don't tend to play with the other roles so cannot really help you with them. There are some Screenshots of those players over the course of the thread. To be honest @Geordieboy52 I don’t really care if they’re not “hidden gems” but as long as they’re cheap! 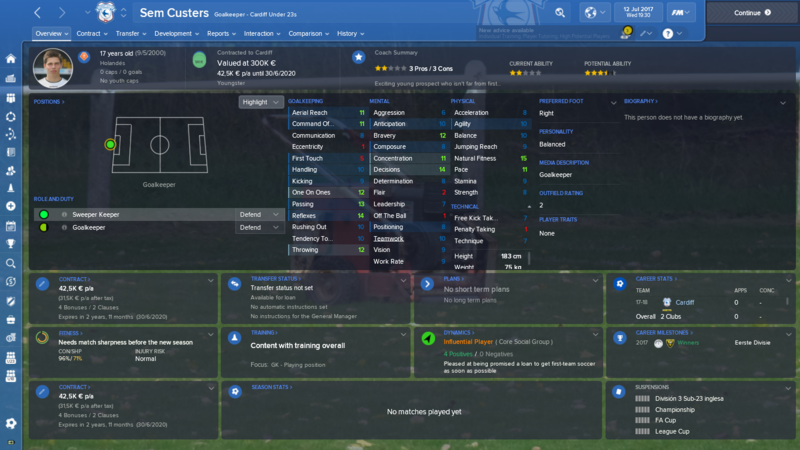 Anyone know a decent young sweeper and/or ball playing centre back and/or deep lying forward? Saw United Snatching him up for 6mil. 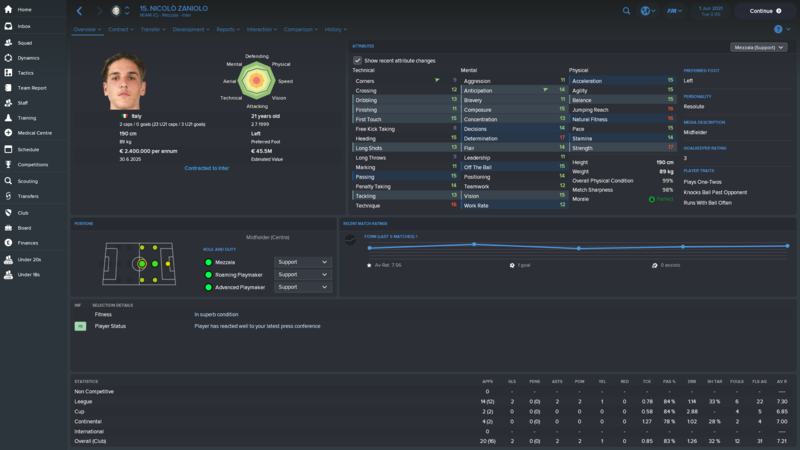 Looks amazing striker for few first seasons. Suggestion for a box to box for my Roma's team. He must accept a rotation's role behind Naingollan and Strootman.